For Singaporeans, reaching 55 years old marks a major milestone from the perspective of personal financial planning. At 55, you can withdraw a portion of your Central Provident Fund (CPF) savings. Yes, finally after years of waiting, you can use the money locked up at CPF! But hang on… before you start planning for your next holiday destination or researching for your second property…reaching 55 does not mean you can simply go to the CPF to withdraw any amount you want. The CPF, Singapore’s pension scheme, has other plans for your funds. 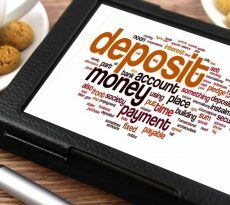 First, you need to make sure that you have enough savings in your Special Account (SA) and Ordinary Account (OA) to make up the Minimum Sum (MS) of $155,000 in your newly set up Retirement Account (RA). Up to 50% of the Minimum Sum (MS) can be accounted for with your property if you had used CPF savings to pay for your property. However, if you sell your property after 55, any amount drawn down from the CPF previously to purchase the property plus accrued interest will now have to go back to your CPF. On top of that, there is still the Medisave Account which has a mandated Minimum sum of $43,500 which will have to be topped up before any funds are withdrawn. Most of the funds in your RA will be for a compulsory national annuity scheme, also known as the CPF Life, that gives you a monthly payout when you reach 65 for as long as you live. b) CPF Life Basic Plan, which provides lower monthly payouts and higher bequests. Under the CPF Life Standard Plan, the first instalment of your annuity premium of up to $77,500 (or half the MS) will be deducted from your RA. And before you hit 65, the rest of your money in the RA will go into the second instalment of your annuity premium. This means that basically all the money in your RA will go towards an annuity scheme under this CPF Life Standard plan, which happens to be the default plan if you do not select one. Under the other plan – CPF Life Basic Plan, a small portion of about 10% of your RA savings will go into your first instalment and another portion will be made for the second instalment as you approach 65. The amount of annuity premium deducted depends on your age and gender. Should you Buy a 2nd Property before 55 to protect your CPF money? Many people have called us to enquire about buying a 2nd property using CPF as they are afraid that the money gets taken away into Retirement account. Also the flip-flops denials and admissions by the government regarding how they have used our CPF funds does nothing to sooth fears and worries about the CPF. This scenario is where Property is used as a pledge (of up to 50% of the Minimum sum of $155,000). With property unpledged, apart from the $5,000 that can be withdrawn at 55 years old. That means that between 55 and 65 years old, there is practically NO MONEY until you pledge your property. If you do pledge your property years later, the minimum sum may yet again rise leading to a decreased withdrawal. Many people who are now in their early 50s (before 55) and who has some CPF monies and who have already pledge their 1st property are approaching us to discuss using their CPF Ordinary account to buy another House. If they buy a 2nd house, they only needs to meet 50% of the Minimum Sum, which is $155,000 * 0.5 = $77,500. Anything (the sum of SA + OA) in excess of $77,500 can be used. If you already own a property bought with your CPF and wish to buy another property with CPF, you should take note that you may do so only after you have set aside half of the prevailing Minimum Sum in your Ordinary and Special Accounts. The maximum amount of CPF you and your co-owner(s) may use for your second and subsequent property is capped at its VL. Mr. Tan, has $120,000 in (OA) and $55,000 in (SA). In other words, since he already has a Private property as pledge towards the Minimum sum of $155,000. He can use any sum of money in excess of $77,500 for his 2nd property purchase, provided that they are in the Ordinary account (OA). $120,000 + $55,000 – $77,500 = $97,500. Mr. Tan can use $97,500 for 2nd Property purchase. Additional buyer stamp duty of 7% (for 2nd Property), this is a whopping $70,000 of tax if property is $1m. His 1st Property is used as pledge and upon sale of the property, proceeds from sale will go into topping up CPF account used together with accrued interest. Reduced Loan-to-value of 50% (i.e. only 50% loan size and 50% downpayment) if 1st residential property has outstanding loan. 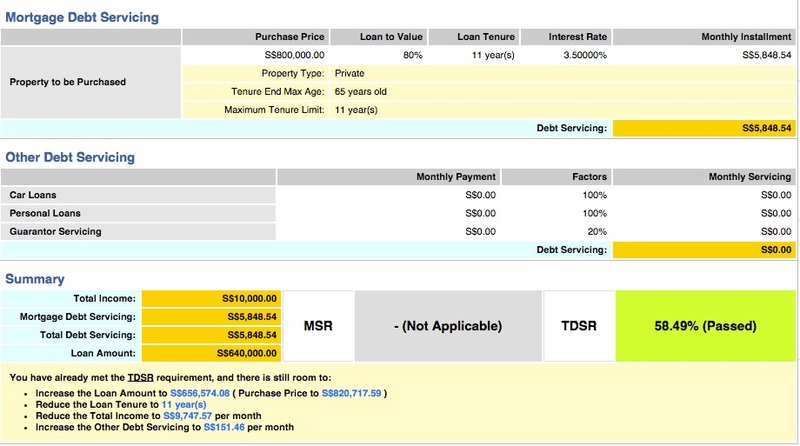 Mr. Tan is already 54, hence the loan eligibility is lower as the TDSR criteria is tough. His low loan tenure will be short at 10 to 11 years tenure (max 65 years old for 80% loan). If he earns $10,000 fixed pay a month, he can only pass the TDSR if his loan amount is around $656,000. He will need another borrower to join him if he wants to buy a dearer property. While a monthly payout in your old age sounds good, having a substantial portion of your savings being tied down for this compulsory annuity scheme raises a few issues worth considering. Am I better off reinvesting the money on my own? Will I live long enough to be able to use my hard earned money? What can I do now to better plan for myself financially? Should I downgrade to a smaller flat since funds received from the sale of property now goes into meeting the MS in my RA? Should I take the opportunity to buy another property now to use up my funds before all the money goes into my RA when I reach 55? Should I use my CPF to pay down my existing housing loan (if it is not paid up in full)? Should I trust the CPF with my money given the lack of transparency and the incessant raise of minimum sum which gives the impression that CPF do not want to return you your money. Each individual’s needs and aspirations are different. And it helps if you think about these issues so as to prepare yourself for this major milestone. Buying another residential property at 55 is a major decision, the repayment commitment is heavy given the short loan tenure, apart from that, you still have to do proper research to make sure you are not overpaying. Kindly note, for any CPF matters, you have to make sure to check with CPF directly. And special thanks and credit goes to the Cpf staff for their quick and professional answers. While the government’s plan to make everyone compulsorily save for retirement is legitimate, it is overdone and places undue strain on citizens. Structural income inequalities need to be sorted out. Given that GIC and Temasek may have made more returns ranging from 6 to 15% and then giving only 2.5% returns to Citizens, part of the inadequacy in retirement fund could be due to low returns from CPF. Hence the government could gracefully undertake and underwrite the healthcare shortfall of Singaporeans. 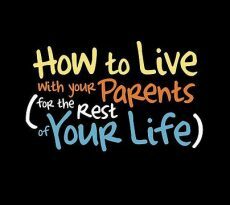 This would ensure that Singaporeans live and age gracefully. For Refinancing, check out home loan refinancing experts. 9. Appendix 1, Correspondences with CPF board, Is property used as pledge for Medisave account? 10. Appendix 2, Correspondences with CPF board, Is Property pledge Automatic upon reaching 55 years old? Appendix 1: Correspondences with CPF board, Is property used as pledge for Medisave account? I refer to your email of 14 November 2014. Sum shortfall in his Medisave Account. Appendix 2: Correspondences with CPF board, Is Property pledge Automatic upon reaching 55 years old? Thank you for your email of 14 November 2014. In the case where the CPF member is able to meet the MS from this OA and SA, does that mean that his property is not used as pledge at age 55? What if he decides to pledge his property at age 56, and qualifies up to $77,500 (assuming that this is 50% of Minimum sum), does this mean that he/she can then take $77,500 out as cash? Thank you for your email of 13 November 2014. 1. The Minimum Sum property pledge is only applicable for members age 55 and above. The property pledge is not automatic unless a member is unable to set aside his Minimum Sum (MS) when he reach age 55. 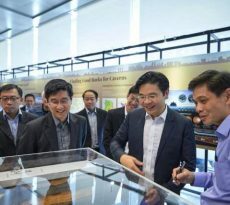 His property which is purchased using his CPF savings, is automatically pledged for the CPF amount that he has used for the property, up to the maximum property pledge amount under the CPF Minimum Sum Scheme. 2. Members need not apply for the property pledge at age 55 and may do so at a later age. I would be glad to assist if you require further clarification. Alternatively, you can call us on 1800-227 1188 (Monday to Friday 8.00am to 5.30pm). 1. Before 55, is the pledge of the property automatic? 2. If a CPF member did not submit (in case some submission is required) a form to announce his decision to pledge the property for minimum sum after 55. Can he still do so at age 56 or later so as to be able to withdraw those CPF? iCompareLoan is a Research Focused Mortgage Consultant who compares and gives you the best fit home loan, commercial loan or SME business funding. He holds a Masters of business administration from a reputable university and has distinctions in finance and economics. 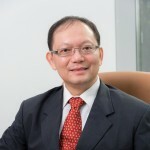 He also writes for STproperty, iProperty,Propertybuyer.com.sg, iCompareLoan.com, BTInvest, Thefinance.sg, Propquest.sg and SingaporeHomeLoan.net amongst many others. He is passionate about helping people enhance their wealth and in making money work harder for them.